Try It You May Like It!!!!!! It's a real pretty morning at the inlet. Winds are blowing out of the Northeast at 9 mph. A lot of Sheepshead, small, medium and large came over the rails of the north jetty. A couple of good sized Black Drum along with some good sized Pompano for those using clams, made appearances. There wasn't a Snook to be found in the morning hours. The bite has slowed from last week. Mike who fished the north jetty reported that the Snook bite started slowing down on , only 4 - 5 fish came over the rails all morning and there were only two keepers. Mike was one of the lucky ones with a 31" slot Snook and Dave had the other at 29". Our photos are courtesy of Mike, is of Luis who landed his 25" Black Drum on live shrimp. The next is of Troy with a nice Black Drum , coming in at 26", also landed on live shrimp. "You Will Never Know Until You Try"
This time of year the fish get Slugish and don't want to move fast or far. I wanted a slow moving bait, so Iv'e been doing some experimenting using different artificial crabs the DOA, Gulp and Strike King. I saw this CW crab crank bait and this may be what I'm looking for. ? ? ? ? What Are They Doing Up North ? ? ? ? ? This morning winds are blowing out of the East at 10 mph and there is a moderate chop on the water. Fishing has been fair. Snook are being landed on live shrimp and it seems to be the best bait of choice for all species right now. Sheepshead have been hitting pretty well and we've had stragglers of Black Drum, Pompano, Sea Trout, Blues, Jacks and a few small but keeper sized Spanish Mackerel. Our first photo today is of one of a few Pompano that were landed, Dennis was one of the fortunate ones! He took it home and had it for lunch. Nam , Phillip and Thang of Orlando made it over to the inlet. They were fishing the outgoing tide using large swimbaits and Thang landed a 24" C/R Snook, a 21" Sea Trout and a good sized Bluefish. The rest of the guys got "skunked". Photo of Thang's 21" Sea Trout and Bluefish. Inshore, trout fishing in the lagoon remains consistent on the edges of the flats. Anglers have been producing good results on artificial shrimp, made by Berkley Gulp And DOA. Live shrimp have also produced some good fishing in the turning basin and around the bridges. The south side of the inlet have shown anglers some decent snook fishing over the last few nights. 2 ounce red tail hawk type jigs have been working well there and on the south jetty. popping corks, Deadly Combos, CAL jerk baits and top water will have the best chance at hooking up with a trout. I like to fish the edges of the shallows where the water drops off to these depths. You can find some trout on the flats early, but they tend to go deeper after sunup. Depending on weather conditions, there are many areas to fish. Round Island, Bear Point and Harbor Branch are always popular to fish in March. Redfish will get more active this month and you can find some tailing on the flats in early mornings. Top water, DOA shrimp, CAL grub tails or gold spoons are good choices for finding a spot tail on the flats. Don't forget to fish around the mangroves also. So far this winter, there has continued to be a good redfish population around the river and the fishing has been fantastic for them. I tend to like the east side of the river for redfish, but you can find them on the west side also. Work your baits slowly along the bottom for best results. Learn to read the water so you don’t miss what is happening around you. feeding early or late in the day. Fish the mangroves during the rest of the day. Top water, twitch baits, TerrorEyz or CAL jerk baits can do the trick in March on the flats. The pompano bite has been better this year. 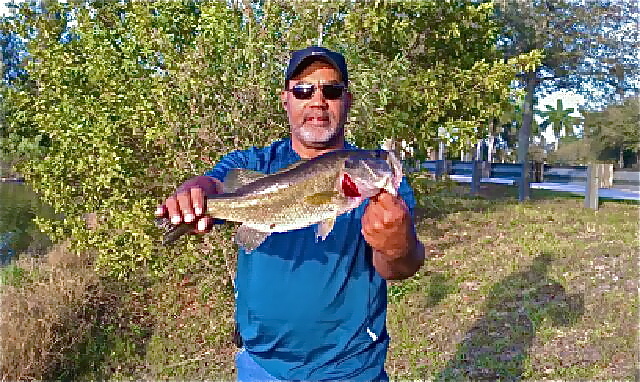 More fish have been caught around Fort Pierce this year and they should be around this area throughout March. Whiting, Bluefish and pompano will be hanging around the beaches this month. The inlet will be holding Spanish mackerel, jacks and bluefish. Jack Crevalle and ladyfish continue to haunt the river and provide fun catch for all. Bridges should give up catches of sand perch, Sheephead and black drum on live or dead shrimp. I think we are all ready for spring to arrive here on the Treasure Coast. It won't be long! Take some time to check all your equipment now and be ready as the weather improves to get out on the water. Make sure your reels are in good working order. Check your rods for broken or cracked tips and guides. How old in that line?? Get ready now on some of the windy days, so you will be ready to head out to the water! 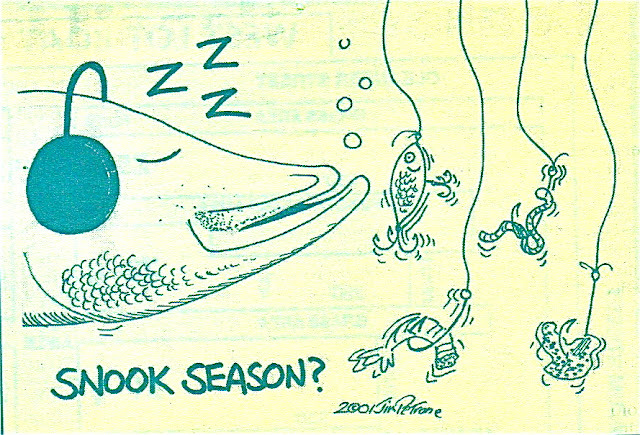 Have a great March for fishing! Water temps are still with us, warm all week then a cold snap on the week end, Pompano and Blues like it. As long as it stays cool the fish will move in, Blues and Pompano like the cooler water, it takes about a day to cool the edge, the river, surf and bridges will be the place if the wind will slow down. Keep in mind the fish are unaffected by the wind it is the angler standing in the wind is the problem. Heavy weights and looking for some flat water will help solve that problem. Surf anglers the Blues will be there early may stay all day with runs of Pompano making their way the edge, four once should hold as long as that north wind slows down and the Pompano should be in casting range for all anglers. Cut bait for the Blues , clams and shrimp for the Pompano time will not be an issue with these over cast sky and any location will work. Should it warm again, Snook season is open. This wind has rive anglers running for the flat water and the fish are not disappointing them, Trout in two to three feet, big Reds at the shore line and mix in the Lady fish, blues, jacks, mac’s, drum and flounder, did I mention Pompano it has been a good week in spite of the wind. Wind has forced anglers to new areas that they may not have fished before, Pompano in the North Fork, trolling for Snook in the South Fork of just drifting the cove north of Nettles have all been very productive. 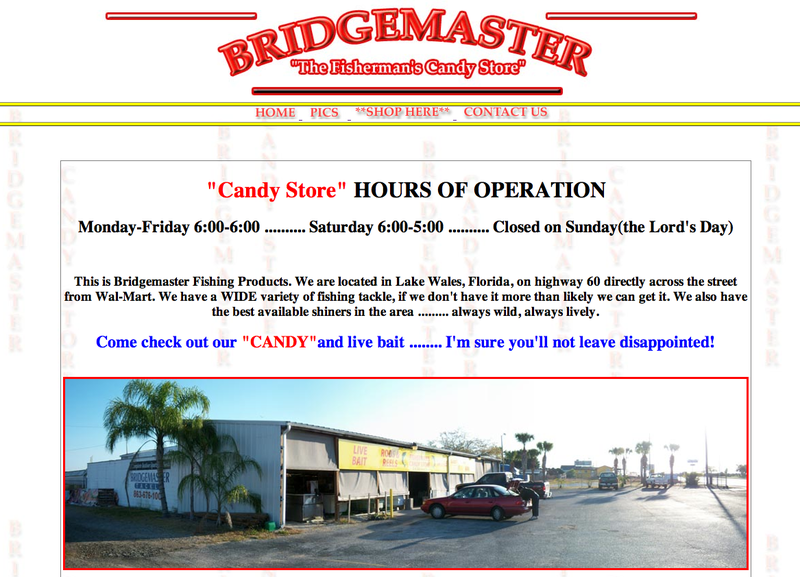 Looking for Pompano that jigging spoon is the ticket from a boat or the bridge, Trout and Reds soft rubber, trolling for Snook try that Bomber or a Rattle trap but than live shrimp will get them all. Over cast days make for an all day bite but I still love the sun shine, cooler water temps make for more fish but I sure miss the warm, I know I will adjust. It's a beautiful morning at the inlet. Winds are blowing out of the Southwest at 8 mph and there is a light chop on the water. There is a small craft advisory for offshore and there is a chance of rain this afternoon. If you head to the inlet, go prepared for it. Over the weekend the high winds kept a lot of anglers at home. The bite was fair; we had Snook, Sheepshead, and Sea Trout as the most dominant catches. We also had a few Black Drum and Flounder, oversized Reds and Tarpon in the evening hours and Spanish Mackerel made a brief appearance on Friday, we haven't seen any of those in a while! Our first photo is courtesy of Mike. Mike took the photo of Dave with one of many slot sized Snook that came over the rails Several oversized Snook were landed and released and an enormous Red that came in at 26 lbs! In our second photo, Adam and his friend from West Palm Beach met at the inlet on Saturday to fish the afternoon. The men landed the two Flounder back to back on the south side of the inlet. 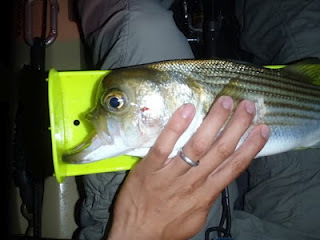 Sheepshead bite has been active around docks and structure. They are feeding on the bottom and biting live shrimp! Sea Trout have been active around spoil islands, around 3-4 feet of water. Live Shrimp, Gulp, and DOA are all working on landing the bigger trout! Redfish are being reported right along with Sea Trout. Use live shrimp, or pinfish for the big reds!! Some Snook are found along the docks, and structures. Try using select shrimp or pinfish! In the early morning and late evening, sheepshead have been feeding on the bottom off shrimp, and slot-sized Snook are feeding on pinfish! Fishing high tide or low tide will better your chances in catching these fish! A variety of fish are being caught: Sea Trout, Black Drum, Redfish, Pompano, and Jacks off the North Jetty. The Bluefish are scattered, but will start to show in numbers once warmer weather comes! **Shrimp are running at the inlet at night! Pompano are remaining steady off the beach using the famous doc's goofy jigs. The color of the week is yellow!! Cobia and whiting are also being reported off the beach. The cobia have been in a little father out, but whiting are reachable from the shoreline. 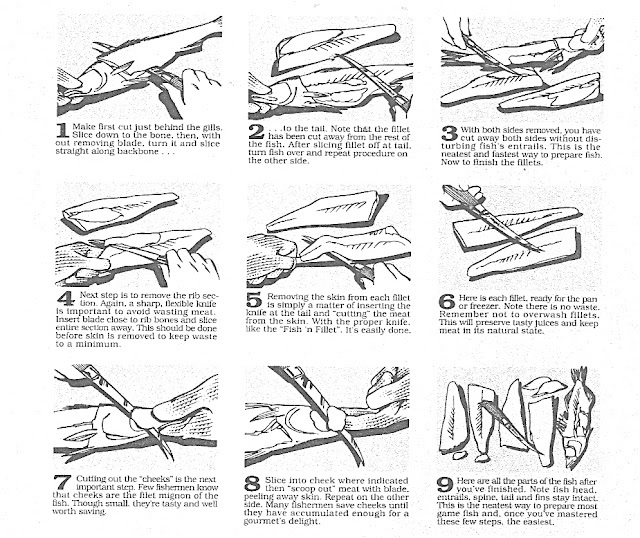 Use live shrimp for whiting! 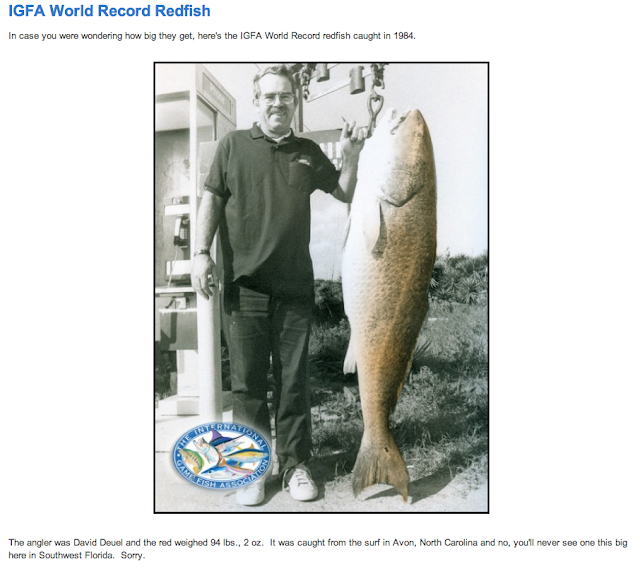 Inshore, when anglers could find a spot out of the wind, they reported sheepshead, margate and sandperch around the turning basin and the catwalk of the south bridge. Snook fishing has been good along the south side of the inlet. Anglers have been using red tail hawk type jigs in a 2oz. weight fishing close to the bottom. The trick to catching snook this time of year is to fish the jig as close to the bottom as you can without losing a jig every now and then. We have a good stock of jigs in a wide selection of colors for you to choose from. A Real Nice Painting by an artis named Tom D'Auria. He does some great stuff. 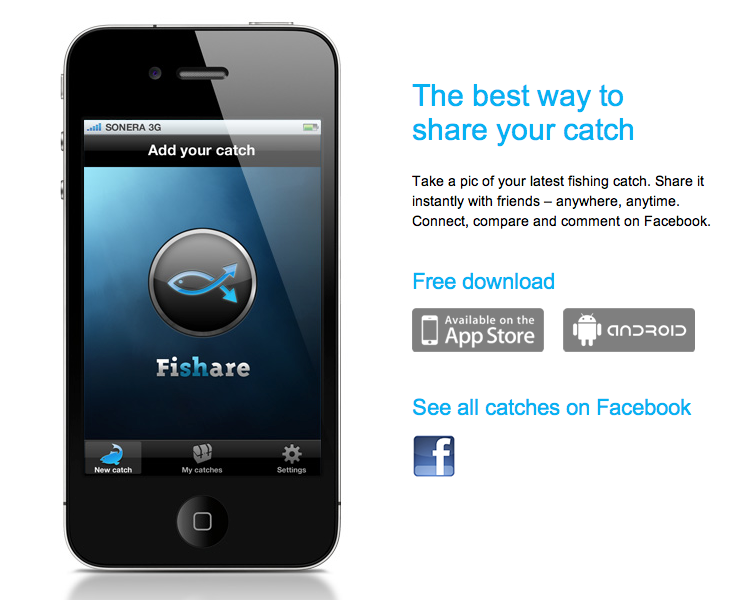 Fishare – the best way to share your catch! Fishare is the easiest way to share your fishing catch. 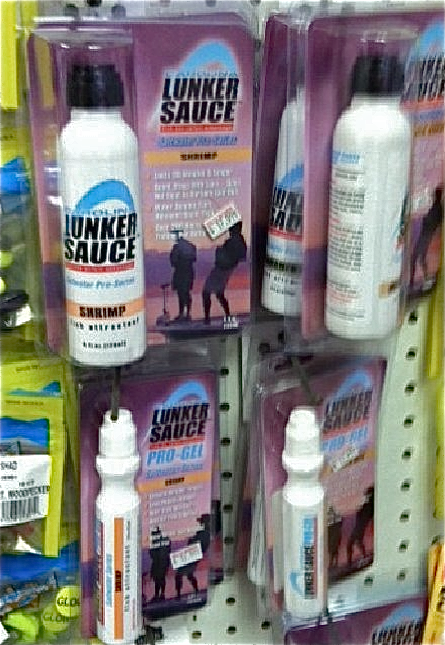 instantly with all your fishing buddies! 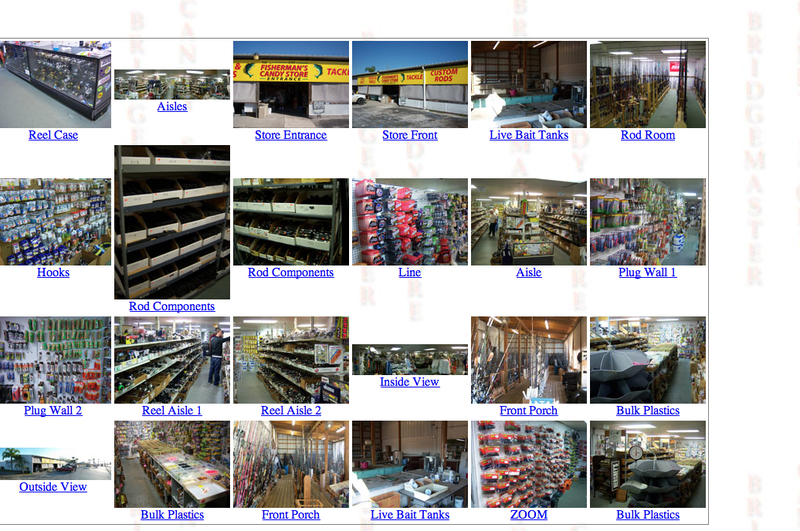 the location of your catch – and it's up to you how accurately! start the app, aim, take a pic and let Fishare do the rest. course, add more of your best catches right from the website. To get started with Fishare, all you need is a Facebook account. Check it out. For the Android and Iphone. A few Pompano have been moving in the river. One angler Jayson, said he did well on the beach today with Pompano , Blue Runner, Whiting and Croaker on Clams and Live Shrimp . The Trout bite has been ok too. Mullet are starting to show up in the river so we may have an early Mullet run . The Bite has been good for Sheepshead on Jig n Shrimp along the pilings and docks. Well that's it for this week have a great weekend stop and say hi. Surf anglers it has been an unusual week, the Pompano have been there for an afternoon bite, from late morning to mid afternoon from Frederick Douglas to Hobe Sound we have had reports. As always that is subject to change but the Blues are there for the early angler, cut baits will find them and please do not walk away from you equipment, big Jacks are cruising the shallows. 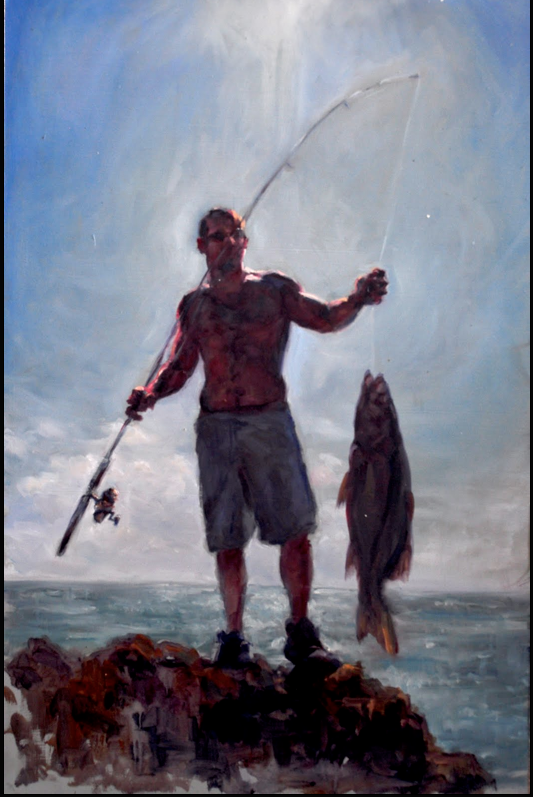 These fish go to forty pounds, can tow a boat, they will take your rod home with them and as I always say the further you are from you rod and reel the bigger the Jack. Plenty of Whiting and a few Snook, no one is targeting these fish, live bait or try a Bomber bait they like the warm water. 02-24-12 LOTS OF ACTION AT THE INLET! We spoke with Tommy at the Inlet Bait and Tackle Shop this morning. He said that throughout the week, the catch has included Snook, lots of Sheepshead, some Flounder, Spotted SeaTrout, Jacks, Bluefish, and a few Drum. Live shrimp is a good bait to use. Our photo today is of Mike with his first Snook! Lots of Sheepshead and Snook. They are hitting on live shrimp in the early morning and late evenings. Inlet regular Mike reported he lost a big snook just prior to netting it. Our photo today features Mike's cousin Phil , who caught this beautiful 27" Redfish on his first cast! Mike also said that there were Jacks caught off the end of the north jetty, along with Bluefish with the Sheepshead. As for the inshore fishing report, redfish and sea trout continue to be caught through out theintercoastal waters. Trout fishing along Indian River Dr. south of Fort Pierce has been really good the last few days. 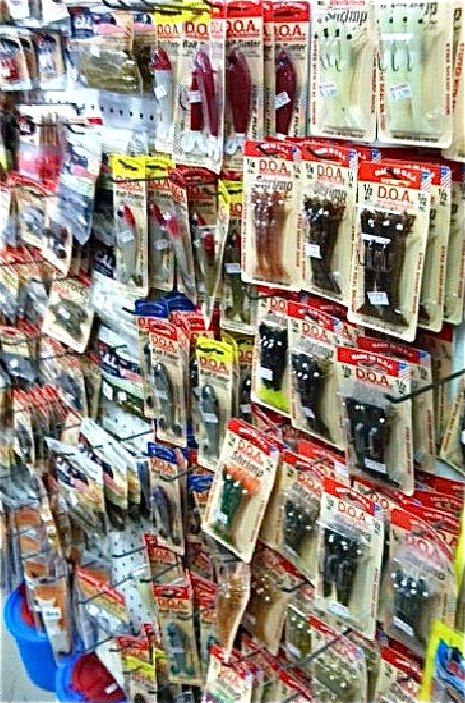 Soft plastics like D.O.A. CAL shad tails and Cotee grubs have been working the best. Redfish have been scattered around the river. Berkeley Gulp shrimp riggedweedless and weedless copper spoons are always a great option for redfish. We have overcast skies this morning but we expect those clouds to dissipate later and turn into a beautiful day! Winds are blowing out of the West-Southwest at 8 mph and there is a moderate chop on the water. There is a boating advisory for small craft to exercise caution near inlets. Anglers have been having a great time with Snook and Sheepshead; both species have been pretty thick off the north jetty. Black Drum are also making appearances along with small Jacks, Pompano and a Bluefish every now and then. We're still waiting on the Blues to run. Sea Trout have been hitting on the flats and a few lucky folks have landed some off the north jetty. Live shrimp seems to be the bait of choice for all species at this time. Our photo today features (L-R) Thang, Nam and Phillip, all of Orlando. After being away from the inlet for two months, the trio made it back hoping for Snook. Although none of the young men landed Snook, they all ended up with nice "gator" Sea Trout all over 20". Thang's was 23", Nam's was 24" and Phillip's was 22". The Trout were landed on large swimbaits. Inshore, the catwalk on the south bridge in Ft. Pierce was on fire in the early morning hours. Anglers there were catching ladyfish, bluefish, black drum, margate and sandperch on live shrimp, cut shrimp and cut ladyfish. 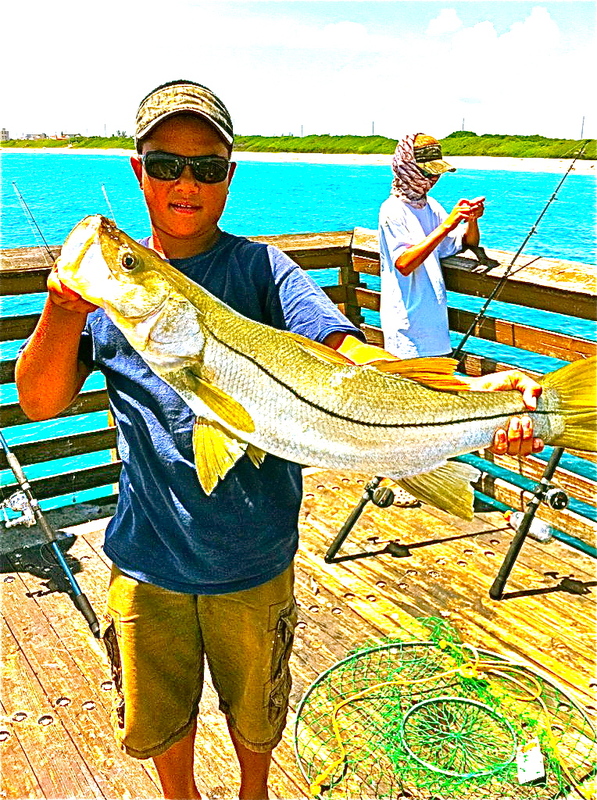 Snook were active over night at the catwalk and along the south side of the inlet all the way out to the south jetty. Capt. Scott Crippen reported that the flats are holding a good number of gator trout. A few redfish have been reported north in the lagoon around the Queens cove area and are taking Berkley Gulp and DOA CAL minnows. How many times have you been fishing and SEE the perfect spot but for what ever reason can't get to it. I mean like down the sides of jetty edges, too rocky to get on, or bridge spans (NO FISHING Past This Point) just where the snook are hanging out in the lights, near other types of structure or just want your bait at a particular water column. After tightening all 3 you should be able to slide the knot and float up or down. 2) Above the float I put a bead and leave a little bit of tag end on the adjustable Knot. Under the float I put a ( 1/2 to 1oz ) egg sinker depending on how deep the water is and bait size. ( this is what will take your bait down to the depth you want). I then put my leader on about 10 to 12 inches........ I usually use a live shrimp, hooked so it can swim and pop freely.You can use other baits- finger mullet ,pin fish what ever, But not "TOO" Heavy. You are able to put the bait as deep or shallow as you want just by sliding the knot and float up or down. If the float lies on its side you are draging bottom , thats not what you want. It's another beautiful morning at the inlet. Winds are blowing at 3 mph out of the West-Southwest and there is a light chop on the water. A small craft advisory has been issued for seas and hazardous conditions may occur near inlets; boaters should exercise caution. Snook, Sheepshead, Black Drum, Reds, Flounder, Sea Trout, smaller Jacks, and an occasional Pompano or Bluefish have been making appearances. Live shrimp remains the bait of choice for jetty anglers. We received an update from inlet regular Mike who fished the north jetty on Friday and reported he missed the early morning bite from 5:00 - 6:30 a.m., but it produced 6 - 8 slot Snook in addition to under and oversized Snook. Mike's first cast produced a nice 22" Black Drum but his prize of the day was the beautiful, big Sheepshead in our first photo today. Mike landed the 7 lb, 22" Sheepshead on live shrimp. In photo two, also provided by Mike , is Red of Melbourne. Red landed an oversized C/R Snook before landing his 31" keeper Snook. .
Inshore, reports of some redfish caught on Berkley Gulp surfaced yesterday afternoon from anglers fishing north in the lagoon. 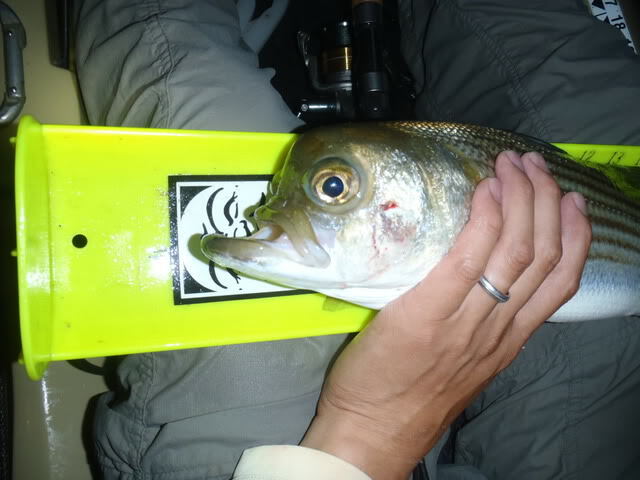 Sandperch, margate, bluefish and a few spanish mackerel have been reported caught from the catwalk of the south bridge. Snook fishing remained a little on the slow over last night, however some are still being caught along the south side of the inlet. Trout fishing has been a consistent around Midway road south in the lagoon, for anglers using live shrimp suspended under a popping cork and soft plastic jigs. The mild days continue along the Treasure Coast this week. Winds have picked up now, but most days allow you to get out in the river. The ocean has been another story with one or two days a week that anglers can venture out. The water temperatures are still mild around the area and that means the fish are on the flats and feeding. We had some good days this week. Trout continue to feed in three to five feet of water. Most grass flats have been productive both north and south of Fort Pierce. DOA CAL jerk baits and shrimp along with live bait have all worked for us lately. We have found most of our redfish along the mangroves. CAL grub tails and live bait have worked well for us. Most of the snook fishing has been at night around the jetties and docks of the inlet. Bluefish are scattered around the river and at the jetties. There are plenty of jacks and ladyfish to keep the young anglers busy. The surf has yielded whiting and pompano lately. Winter is just about over and we will soon transition into spring. Expect more windy days ahead, but mild temperatures should continue for us. Get out fishing soon! It's a beautiful morning at the inlet. Winds are blowing out of the North at 8 mph and gusting to 12. There is a moderate chop on the water. We survived the high winds over the weekend but it's supposed to be creeping back up again this afternoon. For those anglers who braved the winds over the weekend, the bite was good. Snook of all sizes; over, under and slot came over the rails along with Sheepshead, Black Drum, Flounder, Reds, Sea Trout and a smattering of Blues, Pompano and small Jacks. Live shrimp remains the bait of choice. Photo of Chris poses with a good sized Whiting he landed off the north jetty using shrimp. Inshore has been pretty solid in the lagoon. The trout fishing has been great and there have been plenty of redfish around. Gulp shrimp and Gulp jerk baits in Sardine and new penny colors have been working great. The pompano fishing improved towards the end of the week from here to Jensen Beach. On to more on the fishing report there has been a GREAT and I mean GREAT bite on Whiting on the beach's and anglers are bragging of the nice Sized ones too. There have been some Pompano in the area but nothing like we would expect at this time of the year the best bite this week has been in the Hobe sound area as reported by Reel Life Bait n Tackle. There has been a good bite on Snapper near the Jensen and Stuart Causeways and the bait of choice is Shrimp and I wanted to mention the Shrimp they have been very nice in "SIZE" for Snook and very healthy . There has been a few Monster Jacks caught .. our regular , Lamont came in with a Monster today ( should have snapped a picture) The weather looks great this weekend to get offshore we are loaded down with a fresh shipment from Bionic Baits . Finally, I want to Thank Everyone for their support at both Billy Bones Bait n Tackle North and Billy Bones Bait n Tackle south . I will be trying to do some specials we always offer great service and some great deals we stand behind what we sell...Tight Lines , Captain Bruce and Crew !! Trout and Redfish bite has been really good. Fish spoil islands (and Round Island in Vero), and also dock's. Look for water around 3-4 feet. DOA, Gulp, and Live Bait (Pinfish, and Live Shrimp) work the best!! Sheepshead have been hungry around the docks, feeding on mostly live shrimp. Snook have been feeding at night and at dusk on incoming (high) tide. They have been feeding on pinfish, live shrimp and buck tails. Over-sized slot Reds have been feeding on pinfish and live shrimp. 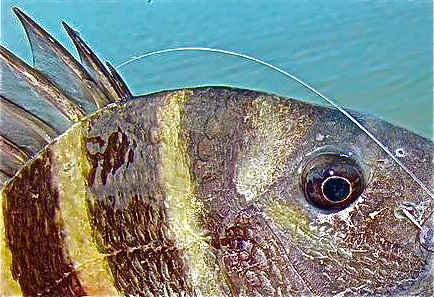 Black drum and sheepshead have been reported around the structures on the bottom. Use live shrimp or clams on the bottom!! Few flounder have been feeding on incoming tide. Bluefish and ladyfish have been feeding on gold spoons. Pompano are making a strong appearance, and feeding on the all-famous doc's goofy jigs. Scattered Pompano have been off the beach, use doc's goofy jigs!! Reports of scattered Cobia using cobia jigs. It's an overcast but nice morning at the inlet, chances of rain increase as the day grows longer. Winds are blowing out of the West-Southwest at 4 mph and the water is calm. Anglers have been doing well with Snook, the season has produced some real nice slot sized fish as well as over and under sized. Lately, every species has been hitting live shrimp. Some anglers are taking the time to hand select the larger shrimp and some are using medium to small shrimp and the Snook seem to be hitting all sizes. Sheepshead, Black Drum, Reds, Jacks and Flounder have been hitting as well. We're starting to see one or two Bluefish each day but they haven't started running yet. Sea Trout remain active on the flats. Our first is of Diane with a perfect 32" Snook she landed early in the morning. The next photo features Mike with a nice Black Drum he landed in the late morning using shrimp. It looks as if our "winter" weather is over, at least for the time being. The little jolt of cool air invigorated the fish and the bite has been good. This morning winds are blowing out of the West-Southest at 4 mph and the water is calm. Snook have been active during the day and evening hours, along with Reds, Sheepshead, Black Drum, Flounder and Jacks. Live shrimp has been the bait of choice for most anglers. Inlet regular Mike was out on the north jetty again yesterday and sent in an update that several nice sized Black Drum were landed in the morning hours on live shrimp and a few Snook were landed in the morning as well. The Snook bite improved on the incoming tide, about 10 were landed, 5 were slot sized. Mike got hooked up with a nice Snook but lost it, but after all, he landed a slot Snook on Friday and one on Monday, so he has no complaints! Mike landed a Black Drum on the morning outgoing tide yesterday. INSHORE- Snook season is back open, and with the mild winter we’ve been having the fish are around in good numbers and feeding well. As usual with the snook, nighttime and good current will produce the most bites. Keep in mind this time of year the main diet for snook is shrimp when picking out baits and lures. Other inshore action has been spotty. The Intracoastal north of Jupiter is holding some ladyfish, jacks, trout, and a few pompano.